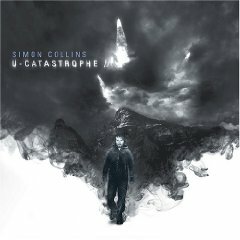 Simon Collins has literally spent his life immersed in music and with his U.S. debut album, “U-CATASTROPHE,” he brings all of his experiences and ideas to the fore. 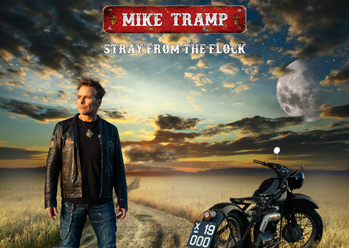 The Vancouver-based musician/songwriter/producer has unleashed a truly unique collection, veering freely from volatile electronic-infused hard rock to intimate, though no less intense, examples of his gift for melodic songcraft. Born in London England, Collins moved to British Columbia at the age of 8, a transition he describes as going “from Blade Runner to suburbia.” Inspired by his father, the one and only Phil Collins, Simon picked up the drumsticks at a very early age. And like his dad, his creativity and musical instincts eventually led him to the piano, where he began penning original material. Collins’ diverse tastes and burgeoning interest in songwriting weren’t reflected in some of the earlier bands in which he played, bands far more interested in just utilizing his undeniable strength behind the kit. Frustrated by his role, Collins decided to leave the band and devoted himself to furthering his songwriting. His mind blown by the adventurous sounds of electronica and psychedelic trance, he dove headfirst into modern musical technology, mastering the arts of production, programming, and sound design. In 2000, Collins’ demos caught the attention of WEA Germany, which brought him to Frankfurt to record his trance-fueled debut, “ALL OF WHO YOU ARE.” Though the collection yielded two hit singles and sold substantial numbers, Collins felt constrained by its synth-based sonic nature. In 2003, he severed his relationship with WEA and returned home to Vancouver. 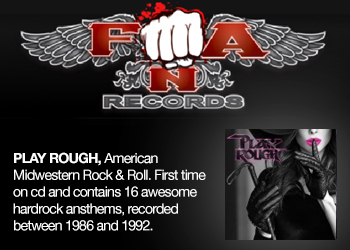 He started his own Lightyears Music label and self-released 2005’s “TIME FOR TRUTH,” which incorporated organic instrumentation and a provocative and political lyrical slant. Returning to Las Vegas in September, Collins stayed in a spare room at Churko’s home, writing songs and working on sound design and programming, while his co-producer recorded tracks in the main studio space. Which isn’t to say Collins has lost interest in speaking out about the social ills surrounding him: “Between I & E” is a scathing indictment of the false prophets who inhabit the religious right and organized religion, while “Eco” – co-written with his partner Debora Lucyk a.k.a. digitaldebbi – is an angry, yet still hopeful, statement of Collins’ concern about preservation of fresh water sources and our impending environmental disaster. One of the album’s shining moments is “The Big Bang,” a bombastic and inventive instrumental track which sees Simon teaming with his father on the drums in the studio for the very first time. Phil Collins, one of rock’s greatest and most influential drummers, is a brilliant player whose work behind the kit is often eclipsed by his mega-success as a singer and songwriter. When Collins invited his dad to contribute to the proceedings, the two musicians began pondering just what form their first recorded collaboration should take. Simon recalls inspiration springing from his father’s fondness for recordings Simon had made in an earlier project called DFS consisting largely of primal beats and freeform synth jams. Phil Collins is not the only Genesis family member featured on “U-CATASTROPHE.” Simon also invited the band’s original guitarist Steve Hackett to play on the album. The two had become friendly during Collins’ time in Germany and stayed in touch via e-mail. “Fast Forward The Future,” a prog-electro-funk epic which closes the collection, seemed an ideal match for Hackett’s intricate style. While some artists would be hesitant to amplify their familial connections, Collins is confident enough in his own work not to fret the possibility of being overshadowed. Moreover, he is unabashedly honored to have such legends playing on his record. That fearless honesty runs through “U-CATASTROPHE,” immediately establishing Simon Collins as an individualistic artist of creative ingenuity and emotional candor after many years of hard work and struggle. 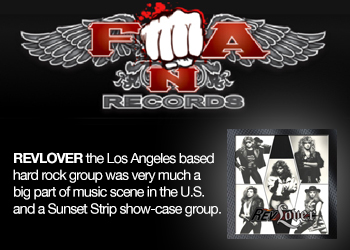 The achievement is perhaps best summed up by the album’s blistering title track, which takes its name from J.R.R. Tolkein’s term “eucatastrophe,” referring to the sudden turn of events at the end of a story which result in the protagonist’s well-being.